I’ve been saying that the new GoPro Hero3 Black is probably the most valuable tool for a pro rider that never has a photographer around for a months now. The thing has amazing quality and with the remote and fast shutter, you can bang out a pic and get it on your sponsors blog the very next day. It’s a win win for everyone! 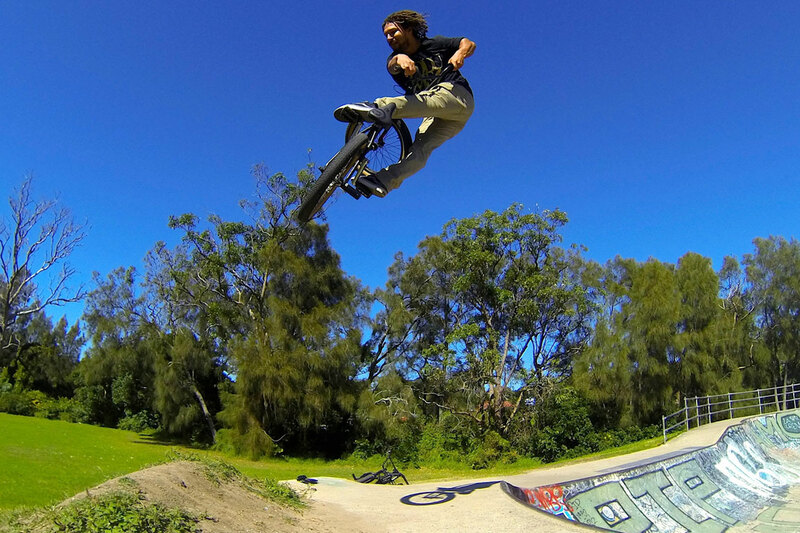 Brendan Jones from our Volume team down under is the newest member and already sent over some cool GoPro remote pics of himself. Keep it up mate! Sorry for the GoPro infomercial, rarely do we hype up anything that we don’t believe in. Click pic to go BIG. Broc, Jonas, Lil D, & Platt Weekend.